But let's talk about some of my summer essentials in the meantime. A big straw tote with a cheery lemon embroidered on? Check. An easy beach read? Check. An acceptable way to wear pompoms on your feet? Got that too. This lightweight dress from lemlem ticks off all the things you'd want in the summer – it's 100% cotton, bares the shoulders, and has a fun graphic print. And I love the tassel detail on this little suede pouch from Loeffler Randall. 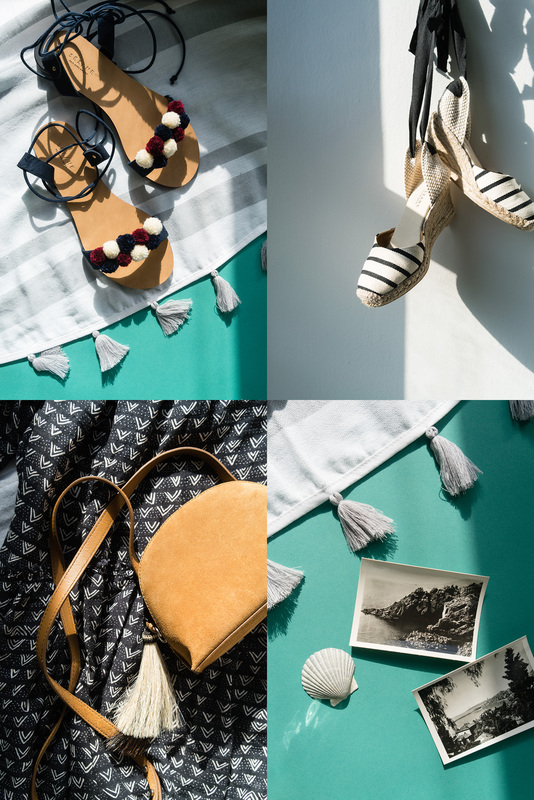 If you want a little more height from your summer sandals, this pair of espadrilles from Sézane is just easy, and comfortable. And for the skin, I have to rave about a product that's fairly new to me. I was staring at a colleague's skin while in Veneto a few months ago and immediately needed to know her secrets. Despite having just gotten off a red eye earlier that day, she was glowing and looked unbelievably fresh. How?? 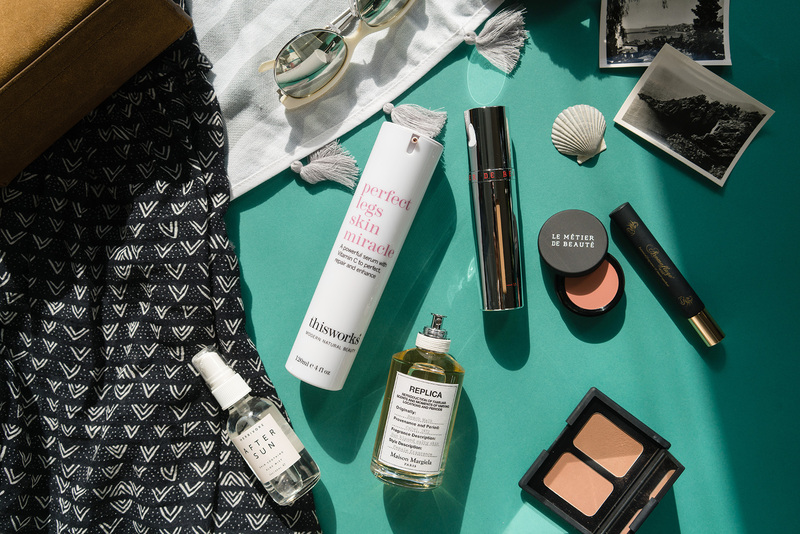 This magical tinted moisturizer from Le Metier de Beaute was how. I tried it on in her room one night and realized I had to get my hands on it. No doubt it's a hefty price tag, but I try to only use it when I really need to impress (there's also a 2oz version that gets you slightly more bang for your buck). I love the dewy no-makeup look I get from it. The brand also makes these cream cheek/lip pots and I'm always a sucker for cream blushes for their easy application. That was a mouthful so I'll try to keep the rest of this short. My legs rarely see the light of day, so I've been using this tinted leg cream whenever I do have to bare them. It adds a subtle shimmer to them as well. I really do try to avoid tanning at all, so a little bronzer action from NARS never hurts. The 'Beach Walk' fragrance by Margiela could not be more perfect for the summer. And if you did spend a little too much time in the sun, some 'After Sun' spritz should cool you down (definitely plan on keeping this bottle in the fridge for extra cooling!). I'm a huge target of mosquitos so I've been using this travel-friendly spray from Aromaflage whenever I'm in mosquito territory. So far so good. Oh, and these mirrored sunglasses are from Shauns and have a funky feminine shape to them. Ahh now back to figuring out how to make this Italian Riviera trip a reality. P.S. You can hover over the first main image to get to the item links easily. love the sandals on the first pic! Those sandals are too good. The light in your photos is beautiful. Those shoes are super cute! Especially the espadrilles. I've been on the hunt for some pretty ones! Love that dress! And your photos are beautiful, I feel more summery just looking at them. Love your blog and your old mom jokes! It's an XS. I would wear it as a coverup on the beach or over pants actually!